It’s been 6 months since the singularity almost destroyed Central City, and the events of that day have pushed Barry/Flash into flying solo, blaming himself for Eddie’s death and believing this is the best way to keep the people he cares about safe. Team Flash has disbanded. Cisco (Carlos Valdes) is working with the police as part of the newly formed Anti-Meta Task Force. Inventing a device he calls “The Boot,” which clamps onto the villains ankle, sending radiation through their body, thus short-circuiting them. Caitlin (Danielle Panabaker) has taken a job at Mercury Labs. 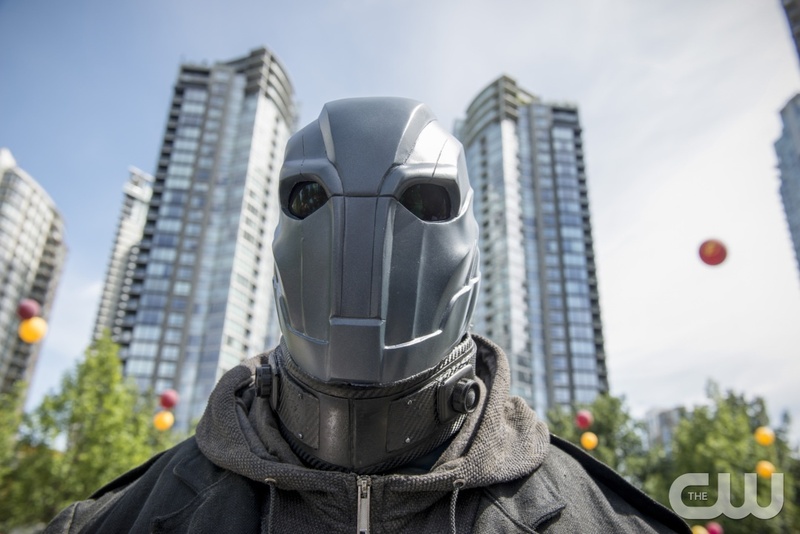 To honor the man who saved the city, the Mayor is hosting FLASH DAY, at which he will give The Flash the key to the city. None of this sits well with Barry. He doesn’t feel worthy of such an honor. 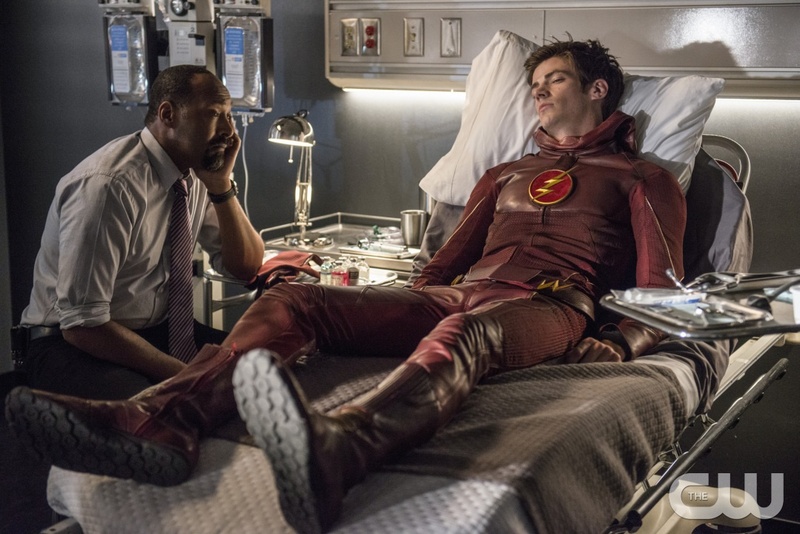 While investigating a murder at a nuclear power plant, Joe (Jesse L. Martin) tries hard to convince Barry he needs to attend FLASH DAY, telling him it’s time to cut the solo act. Iris (Candice Patton) shows up while Barry is rebuilding CC Jitters. She tells him it’s not just the City that believes in The Flash, she does too. Barry’s mind wanders to that fateful night. His efforts to contain and stabilize the singularity aren’t enough. Firestorm must fly into the eye and then separate, which should destroy it. They are successful, but Ronnie looses his life in the process. Chalk up one more loss Barry carries the blame for. 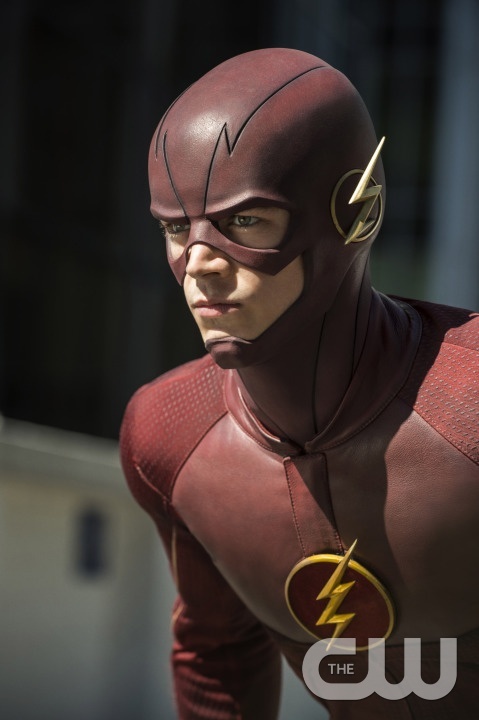 FLASH DAY arrives, but will The Flash actually appear? After a rousing speech from the Mayor the crowd goes wild. Reluctantly Flash steps on stage, but before he can speak, a large industrial grill comes flying trough the air. He quickly gets the Mayor out of the way and prepares for battle. Enter a bohemoth man, wearing a full mask. The meta is too strong for Flash and the cops bullets are useless. After Cisco experiences a momentary lapse in what appears to be a parallel world, he gets “The Boot” to Joe, unfortunately, on this monster it only enhances his size and strength. Flash quickly grabs propane tanks and tells Joe to shoot at them as he throws them at the beast. The explosion is enough to stop his rampage, but not without first revealing the man behind the mask is Al Rothstein (Adam Copeland), the body found at the nuclear power plant. As if things weren’t bad enough, Barry is visited by Greg Turk (Aaron Craven), the attorney in charge of settling Wells estate. Wells has left Star Labs to Barry, plus a video that only Barry is to watch. 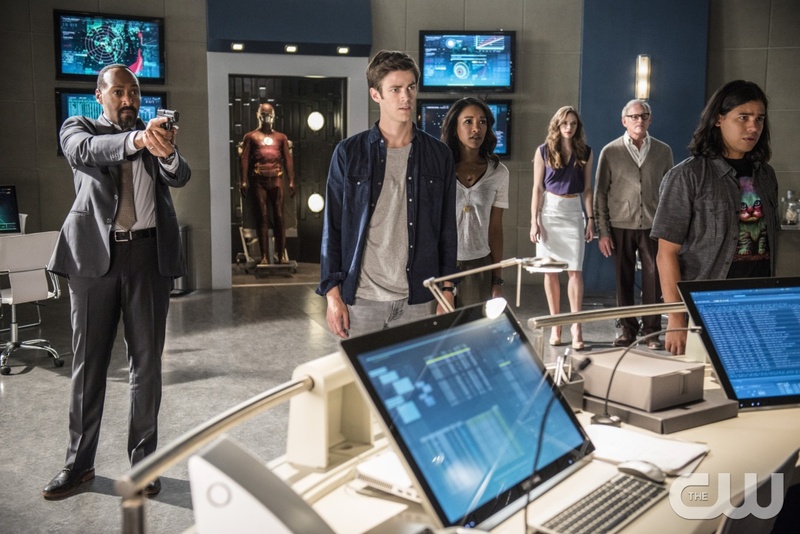 Following up on an alert of a break-in at Star Labs, Barry discovers, Cisco, Joe, Iris and Stein (Victor Garber). Questioning their presence, they tell him he can’t do this alone. They have surmised that Al caused the failure of all the x-ray and CT machines at the hospital by sucking up all the radiation around, thus increasing his size and strength. Stein wittingly dubs him the Atom Smasher. Cisco finds a 3 block dead zone around a hazardous waste warehouse which has to be the Smasher’s hide out. Barry dashes out, without his comp system, leaving him without a link to the team. Flash makes a valiant effort, but he is no match for Smasher and is willing to die. Little does he know Team Flash is not going to allow this. Cisco has hacked into the security system, and just when it appears Flash is a goner, sets off the alarms, which startles Smasher allowing Flash to break free. When Barry wakes up, he sees Joe sitting by his side. Joe points out he was not the only one making decisions that night. Everyone did. They were all responsible and he has to stop blaming himself. It’s time to let go of regret and move on. The Flash — “The Man Who Saved Central City” — Image FLA201b_0462b.jpg — Pictured (L-R): Jesse L. Martin as Detective Joe West and Grant Gustin as Barry Allen — Photo: Cate Cameron /The CW — ÃÂ© 2015 The CW Network, LLC. All rights reserved. Barry goes to see Caitlin telling her he wasn’t the hero, Ronnie was. Caitlin explains she blames herself for Ronnie’s death, because when he wanted to leave Central City, she refused. She couldn’t leave Star Labs. Had she gone, Ronnie would still be alive. As Barry hands her a hankerchief to wipe her tears, the flashdrive with the video drops to the floor. Caitlin and Barry watch the video. Much to their surprise, Wells confesses to killing Barry’s Mom. Barry’s Dad will finally be free. Henry Allen (John Wesley Shipp) however has no intention of staying around. 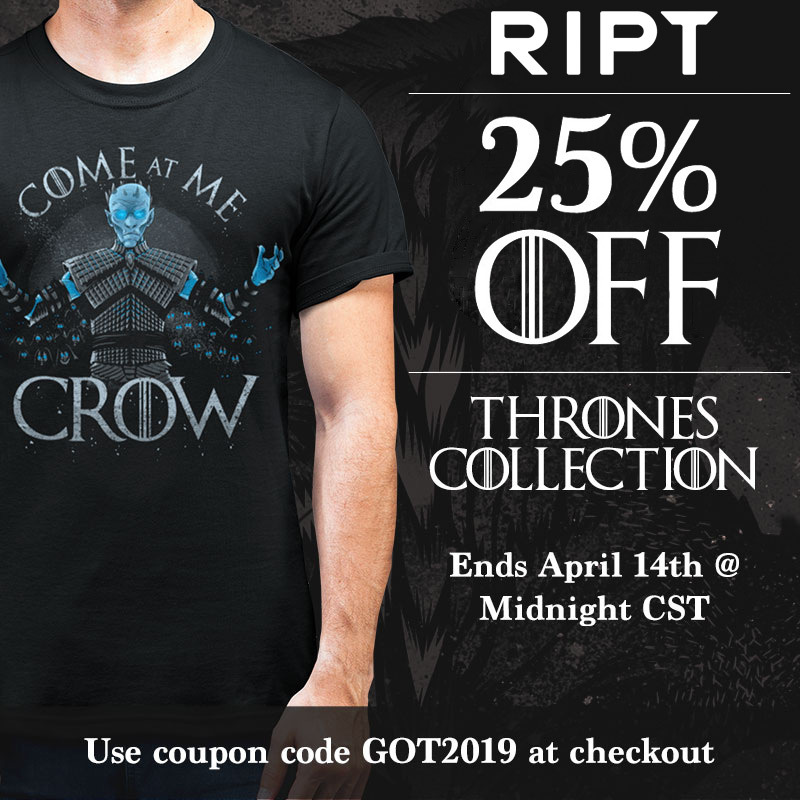 He needs to move on. He tells Barry the city needs the Flash, not Henry Allen’s son.